I have just released a new version of TimelineFX which features a long overdue “Undo” feature. I always wondered exactly how I would implement this and I think I was reluctant due it being a big job. I’m pleased with the final implementation and it actually felt good to create effects and have it there available. I threw in the added bonus of creating a new effect from an undo history. So if you like a particular version of an effect you can copy it to a new one and keep editing the current one. There’s also one or two improvements in there too, including the fact that you only have to single click in the preview area to play an effect. It seems odd that it hasn’t always been like this, but there was a historical reason why you always had to double click – except I can’t remember what it was any more! Merge Effects. 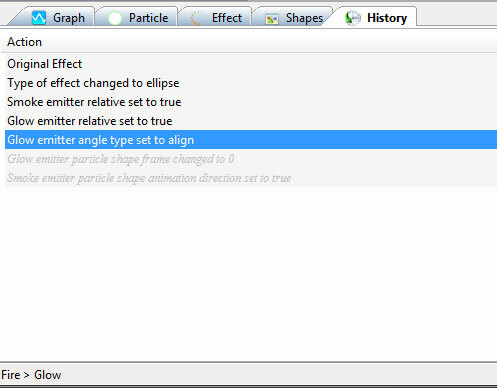 This option will automatically merge 2 effects together, so they will become sub-effects of a single effect. Easier way to specify exactly how many particles you want to spawn in one go – currently you have to make the effect an area, line or ellipse effect and set the particle to single one shot which isn’t ideal. New option to add a container emitter. These are emitters that you use purely to contain a sub-effect, to save you having to manually create an emitter and then make it 0 size and single. Option to automatically restart an effect after a certain time to save you always having to click to restart an effect. 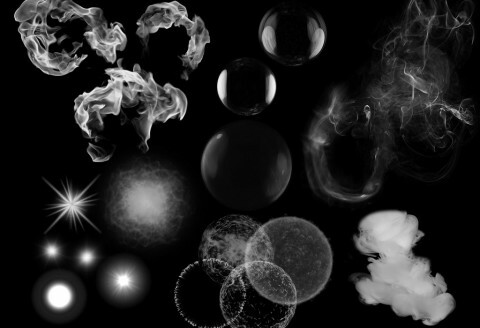 That’s what I’m planning for the next update, and I’ve got more intentions beyond that, but first – I’m going to update the documentation for the new history tab, release a new Muzzle Flash effects library I’ve been working on and then I’m going start adding content to the Particle Shapes section! So why the sudden influx of updates? Well TimelineFX was always my hobby, I originally created it because I planned on making a shoot-em-up game, but once I reached a certain point I thought it was a decent product I could try selling. It’s always been hard finding the time to update it in my spare time with a full time job as a web-developer, but then back in September 2014 I was made redundant and decided to go freelance. I’ve concentrated on web work for safety but now I have more confidence I’m transitioning to making TimelineFX my full time occupation! I think it has lot’s of potential and it’s done well so far considering I’ve barely pushed it marketing-wise the last few years. So thanks to everyone for your support and I hope I can wow you with some amazing effects in due course!